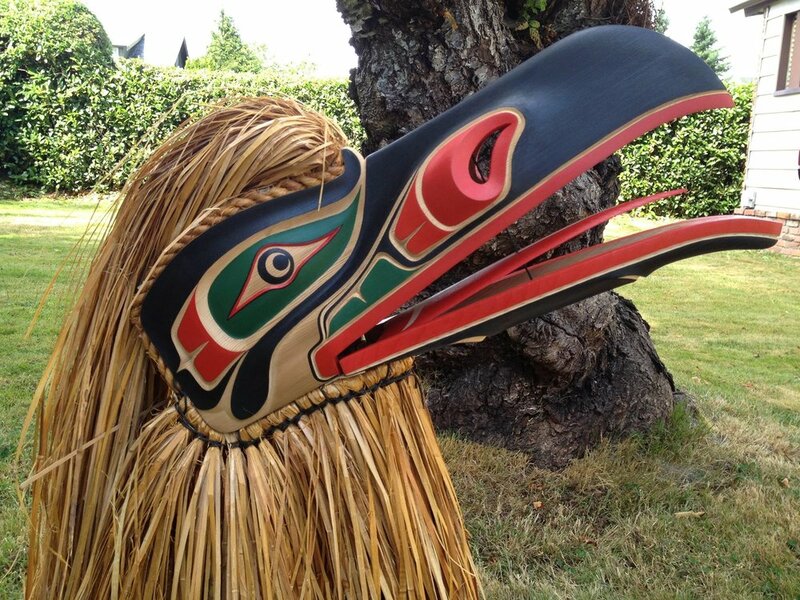 One of the most prevalent figures in the crest, as well as in Kwakwaka‘wakw mythology; the bear is considered to be a close relation of human kind due to its human-like behaviours. The Bear is a link between the human and the non-human realms as well as the natural and supernatural worlds. The Bear symbolises power, protection and strength. 28" tall, hand painted and carved from western red cedar with bear fur.